When I heard the fireworks going off this evening, I realised that it’s ten years since a particularly controversial and rather chaotic fireworks display here in York, which I was lucky enough to witness, from a window in the Clifton area, while thousands of other people ran around York trying to find it. It was covered on these pages at the time, but on its tenth anniversary deserves a revisit. And thanks to the Press archives we can relive that event. And I’ve also assembled a reminder, an update on my 2005 Flash-based extravaganza. Which is still on the web, in some webspace I got with our NTL broadband account – remember them? In 2005, the City of York Council was being rather mysterious on the location of that year’s fireworks display. “They will be very visual in an aerial way. 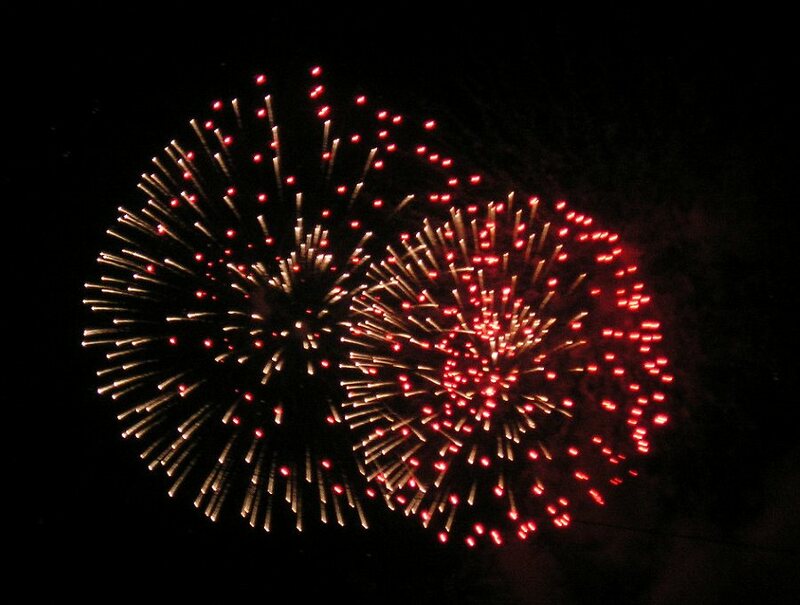 It’s a skyline thing,” said a council spokeswoman, accurately describing what a fireworks display usually looks like. But back then it was given an added glamour and excitement, with the location being kept secret. As the Press reported. “You can see it in your own gardens, or go to a nice vantage point in the city centre and you will be fine”, the publicity promised. Exciting. But it didn’t quite work out. Promises of a fireworks spectacular above the city of York sparked condemnation from spectators after thousands struggled in vain to see the display. organisers had not realised just how large a crowd would assemble by the cathedral and then pack the bridge, bringing traffic to a halt, and vowed that lessons would be learned from the evening. And on 11 November, a range of views published in the Press. Ten years ago … a lot has changed. In some ways. I remember … a fireworks display at Clifford’s Tower, early 1990s. Standing in Clifford Street, near the fire station. Firework colours framed by buildings. If you remember the 2005 display, or earlier bonfire night celebrations, please add a comment. Information on how to support this site. By Lisa @YorkStories • 5 November 2015 Histories, Miscellany To link to this page's proper location please use the > permalink.